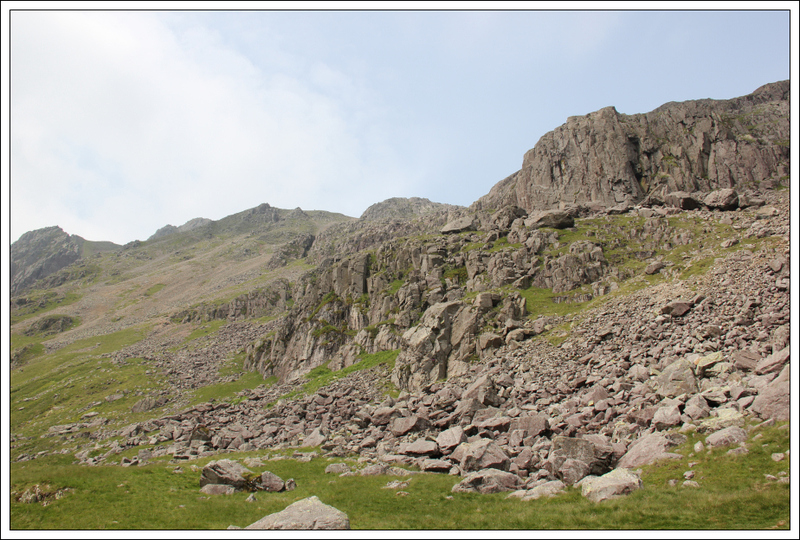 I set off this morning to Wasdale Head with two potential routes in mind: (i) an ascent of Lingmell, Scafell Pike and Scafell or (ii) an ascent of Kirk Fell and Great Gable. 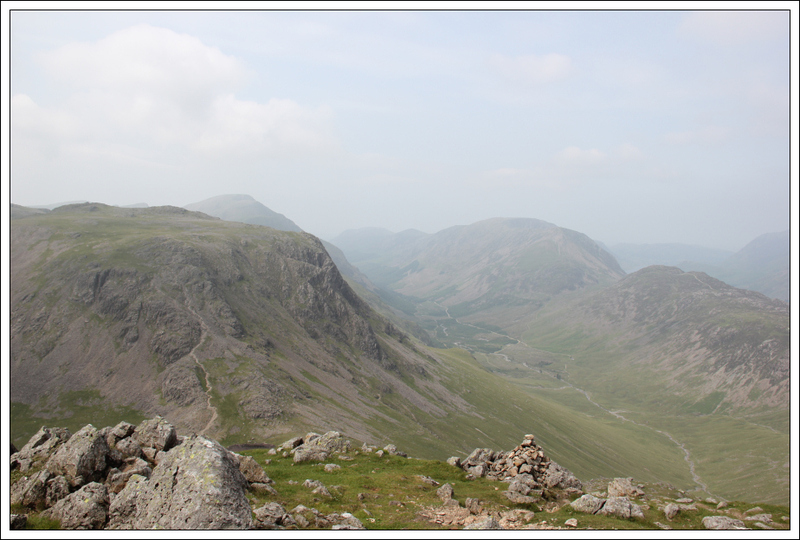 On arrival in Wasdale Head, I immediately liked the look of Kirk Fell and Great Gable. I therefore decided to undertake option (ii). 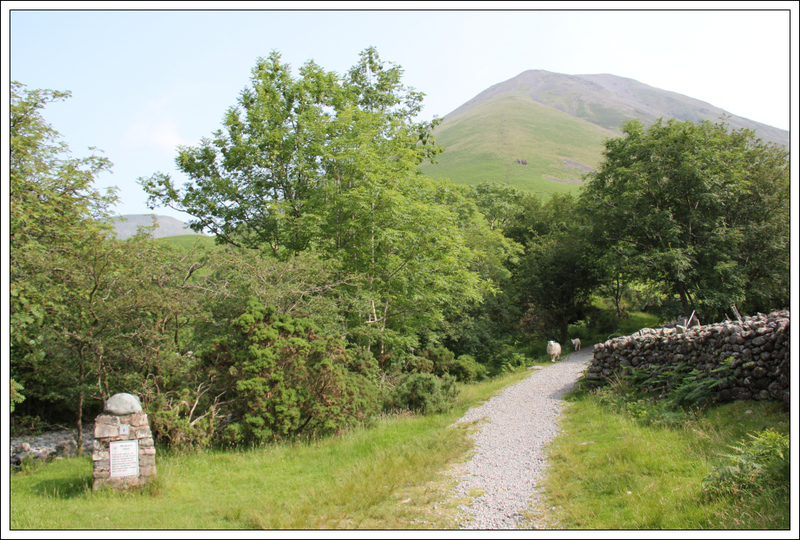 From the Wasdale Head car park I walked to the Wasdale Head Inn and then took the public bridleway behind the inn. 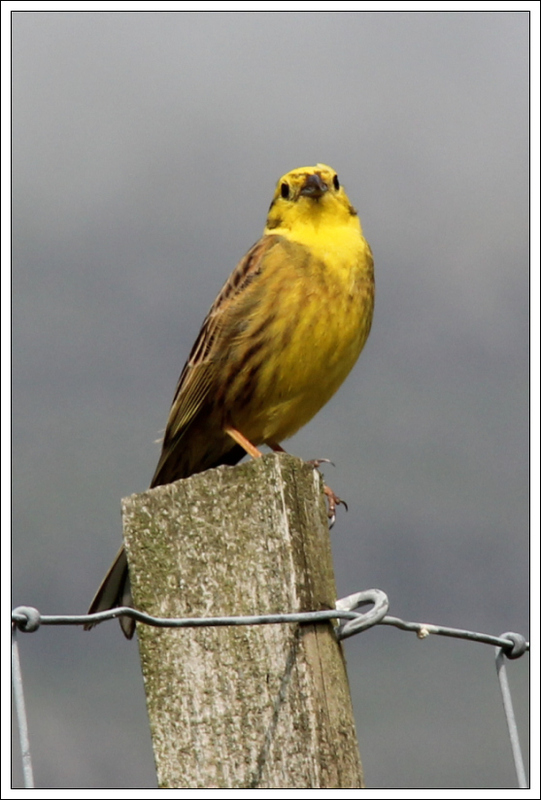 As I made my way along the track, I spotted a very colourful Yellowhammer sitting on the fencepost. 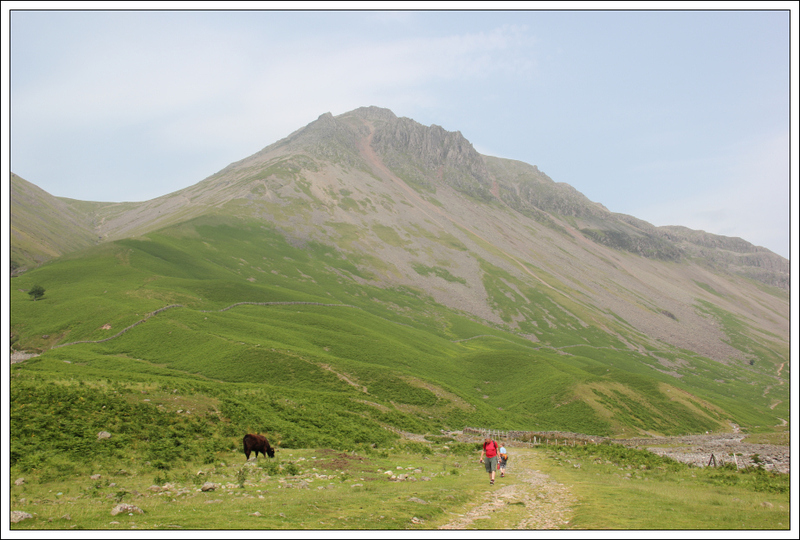 The direct very steep ascent of Kirk Fell, from Wasdale Head, might have been tempting had the temperature not been so hot. 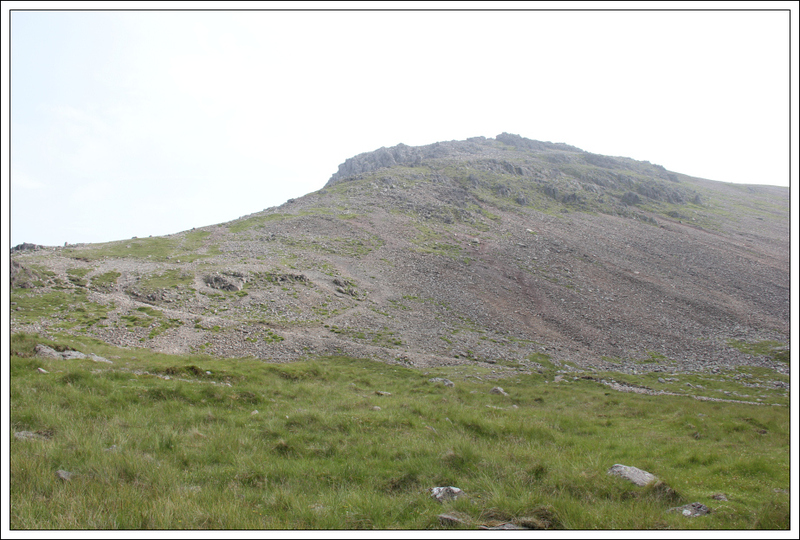 Instead, I opted to take the less-steep track skirting round the back of Kirk Fell towards Black Sail Pass. 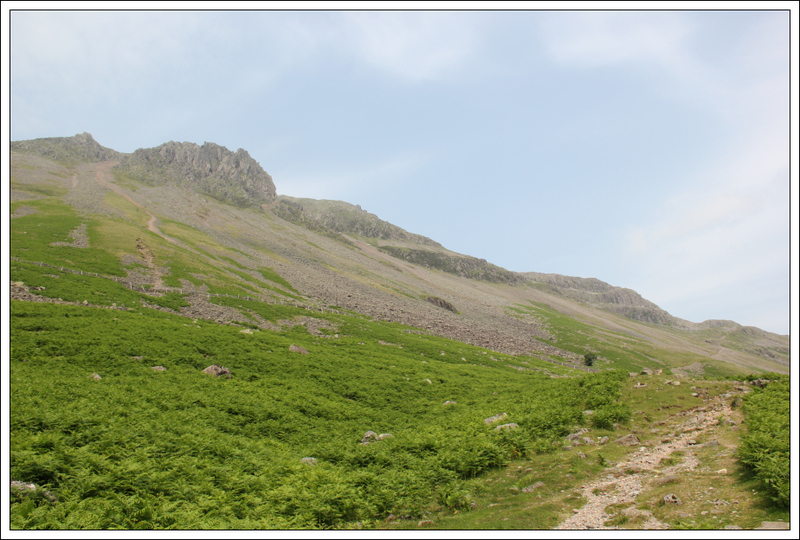 During the ascent to Black Sail Pass, I had to stop several times due to the heat. 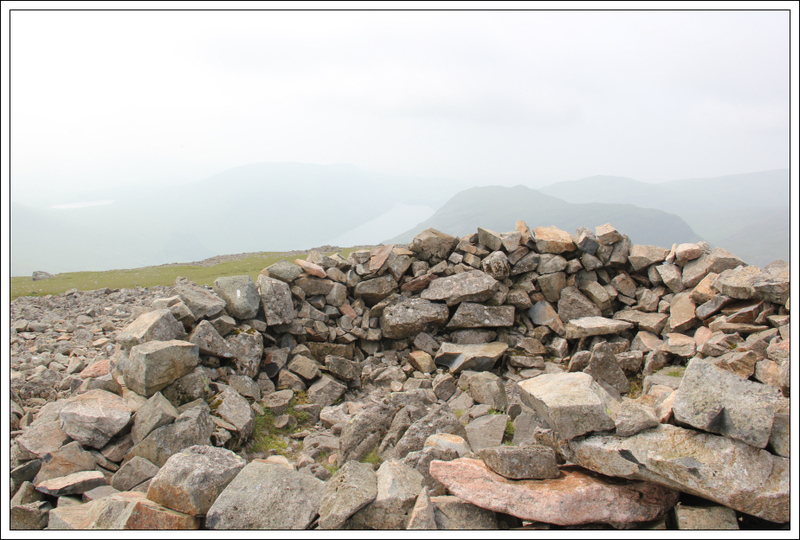 From Black Sail Pass, I started my ascent of Kirk Fell. 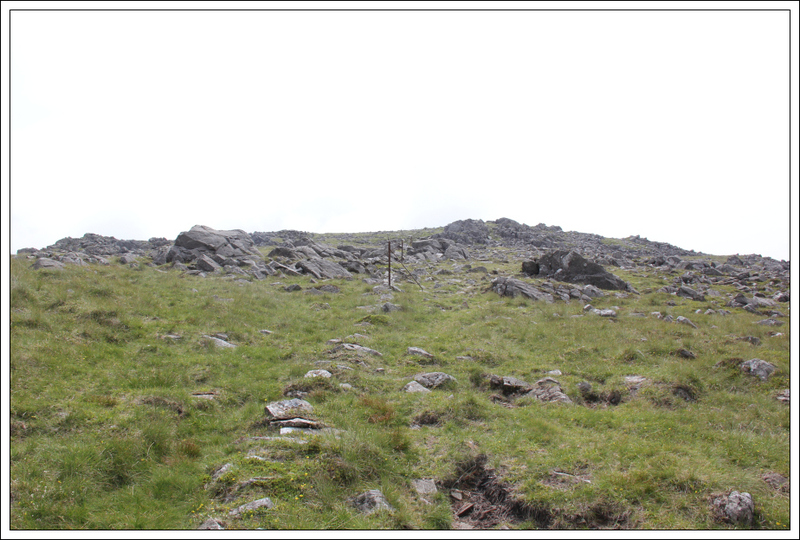 I followed the line of fenceposts up the hill. 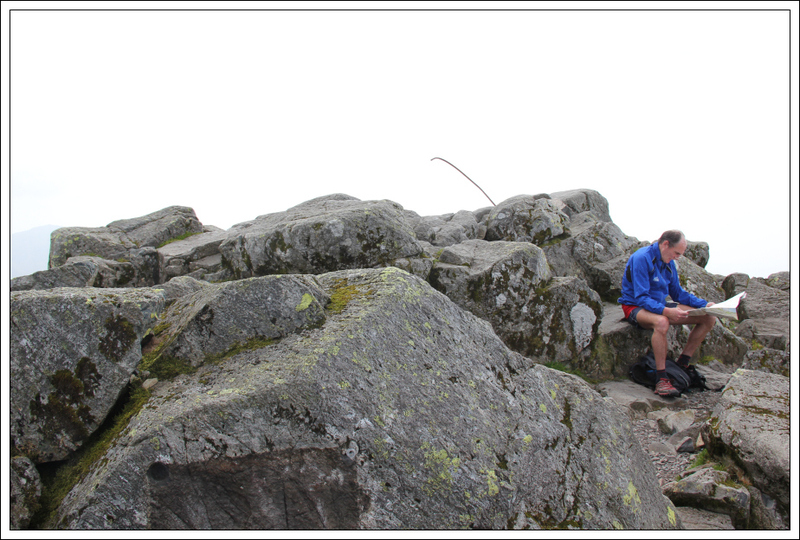 On reaching the summit, I drank nearly a litre of water in an attempt to cool down. Despite the visibility being fairly poor, due to haze, it was roasting hot. 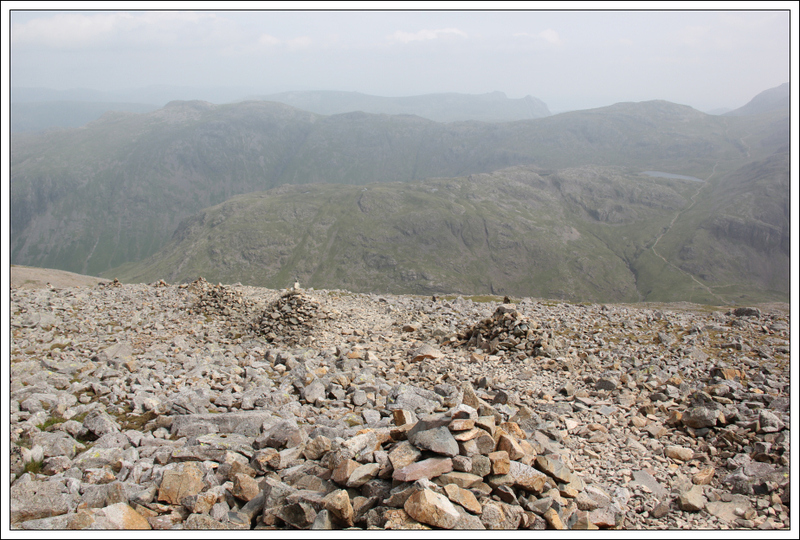 From the summit of Kirk Fell, I made my way across to Kirk Fell (East Top). 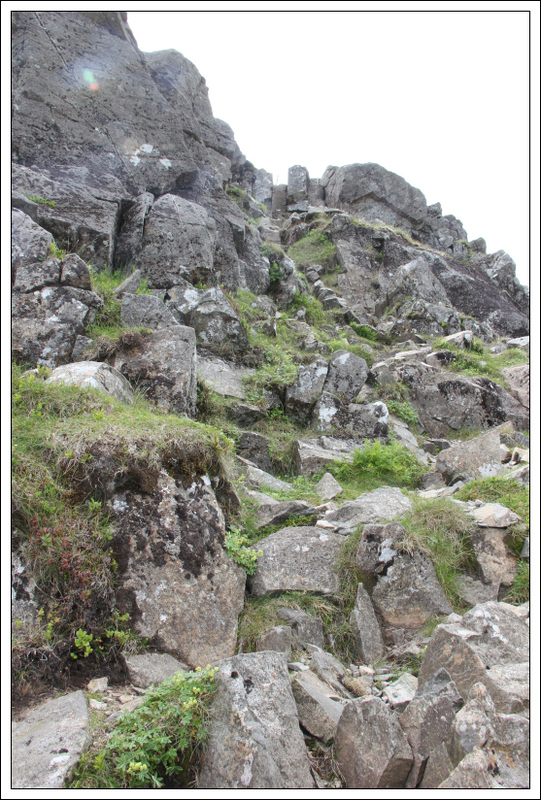 There were a good number of walkers at the East Top. 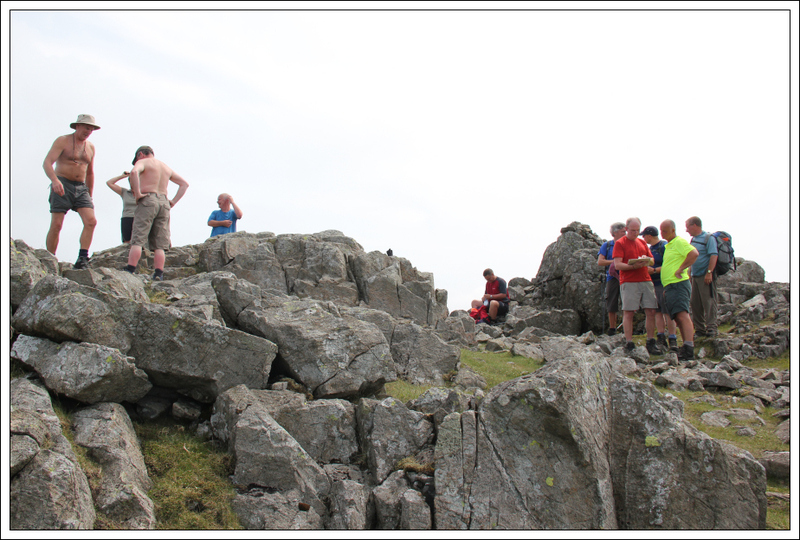 This group had apparently ascended Kirk Fell (East Top) thinking it was Great Gable . 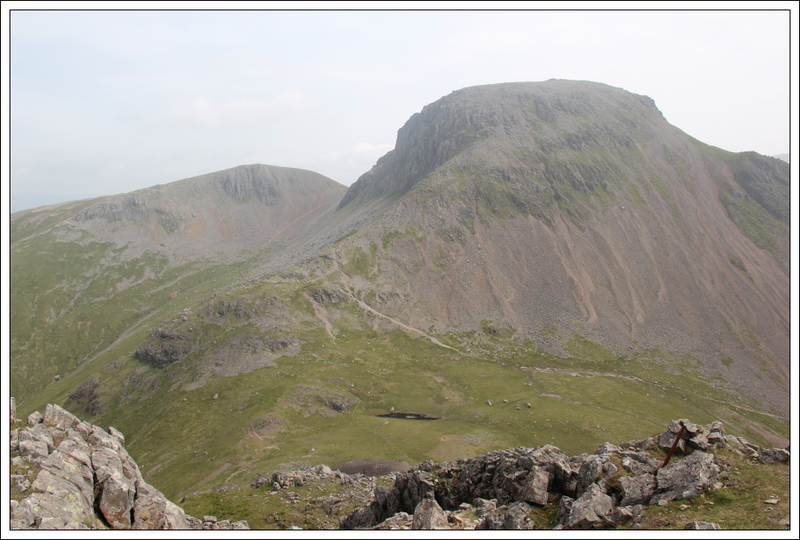 I was now looking forward to ascending Great Gable as it is a really impressive peak. 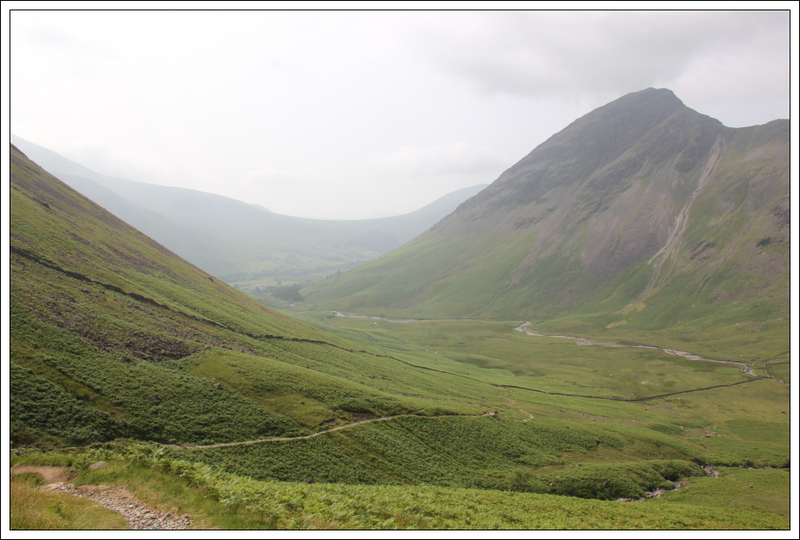 As I made my way down from Kirk Fell (East Top), I was followed by the large group. 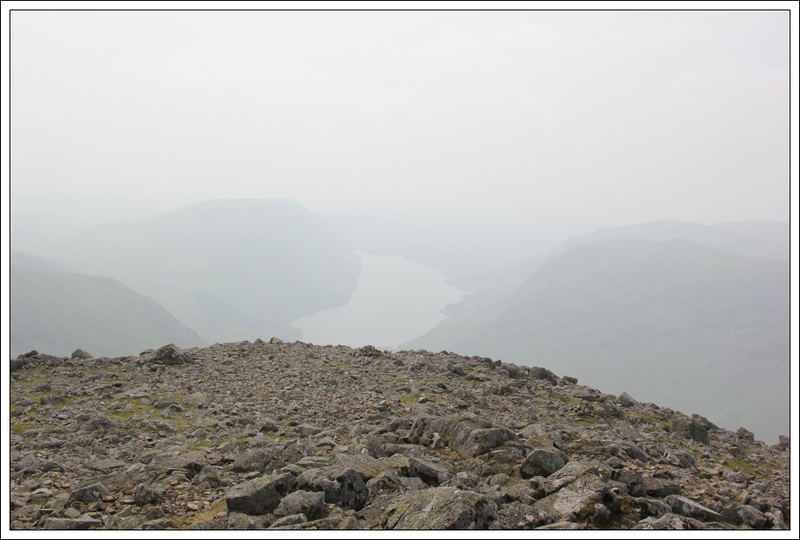 The ascent of Great Gable was easier than expected. 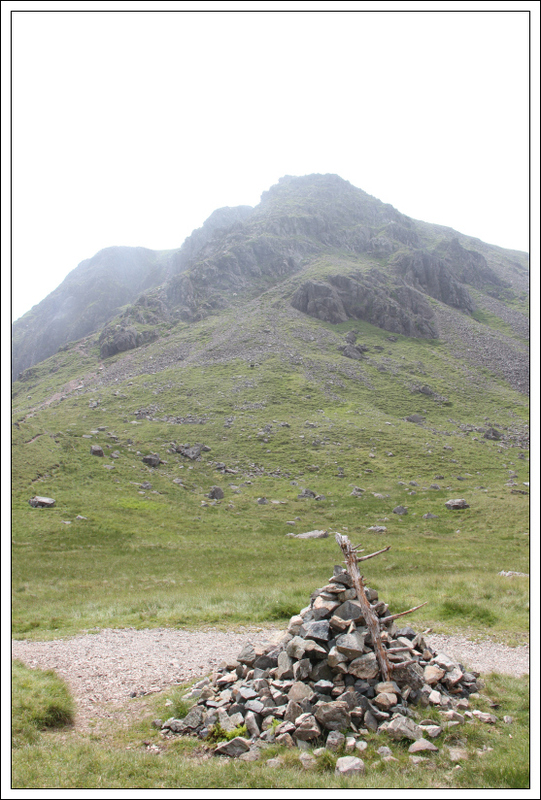 There are numerous cairns marking a route up the hill. 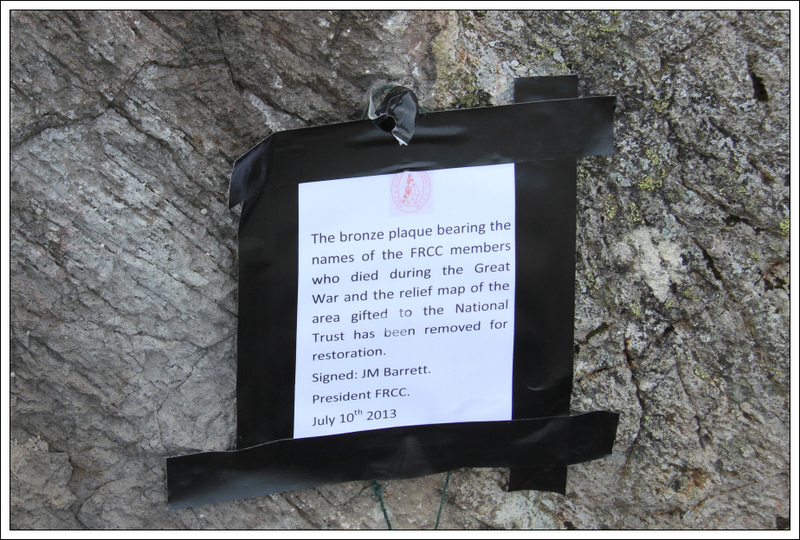 On reaching the summit, I expected to see the bronze commemorative plaque. 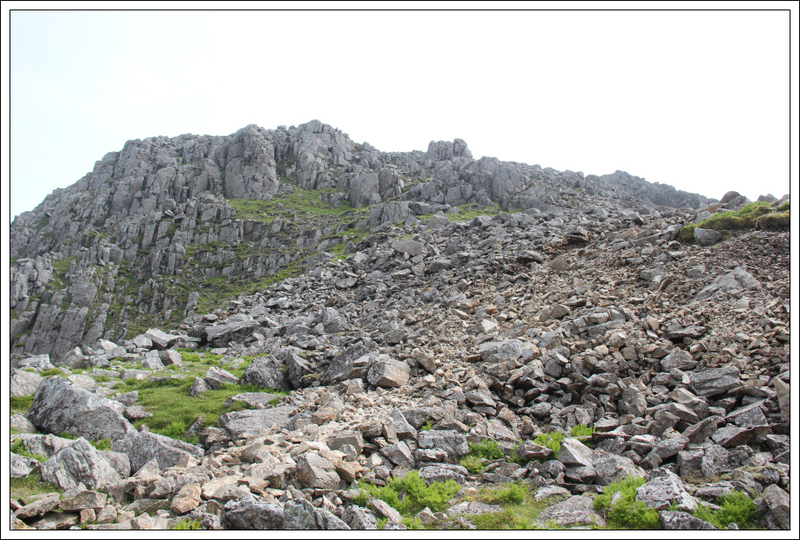 Instead there was just a sheet of A4 advising that it had been temporarily removed for restoration. 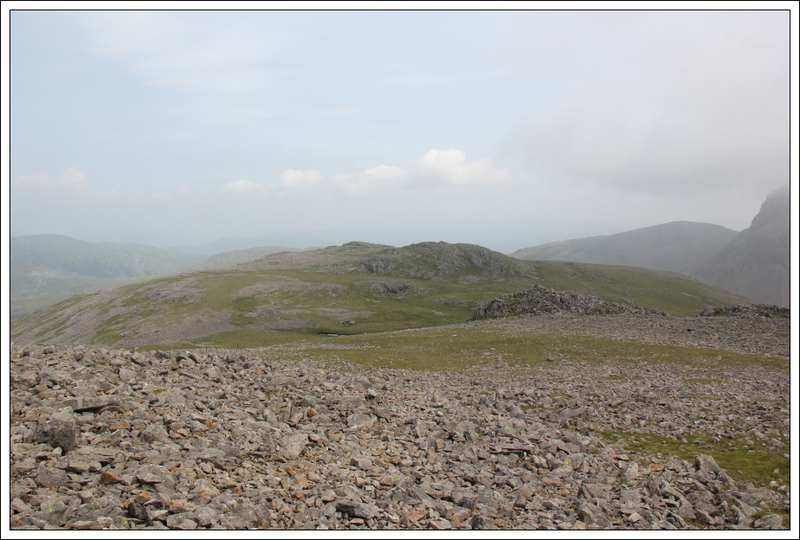 At the summit I took a compass bearing to pick up the correct route leading down towards Sty Head. 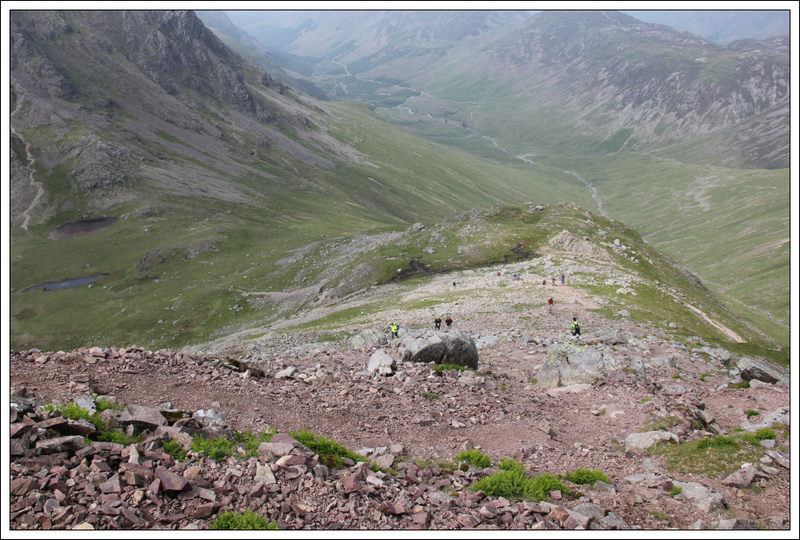 The track leading down to Sty Head from the summit of Great Gable is of excellent quality. 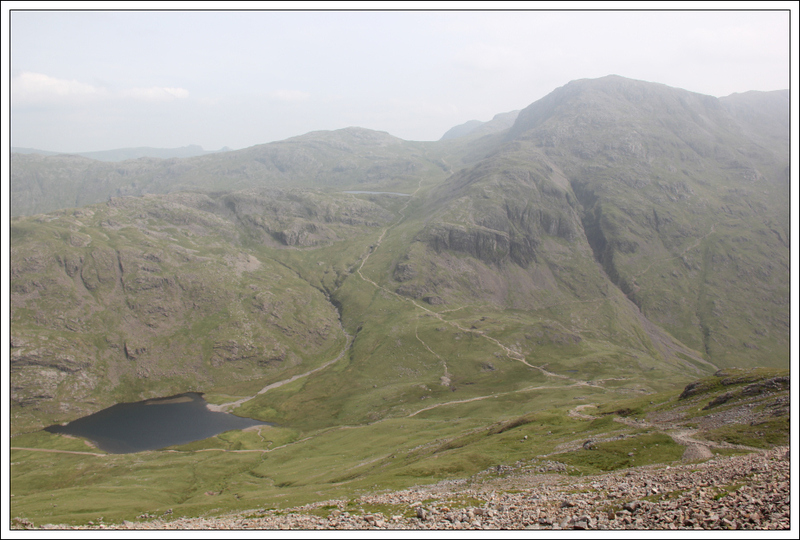 During the descent it was nice to look across to see Styhead Tarn and Sprinkling Tarn. 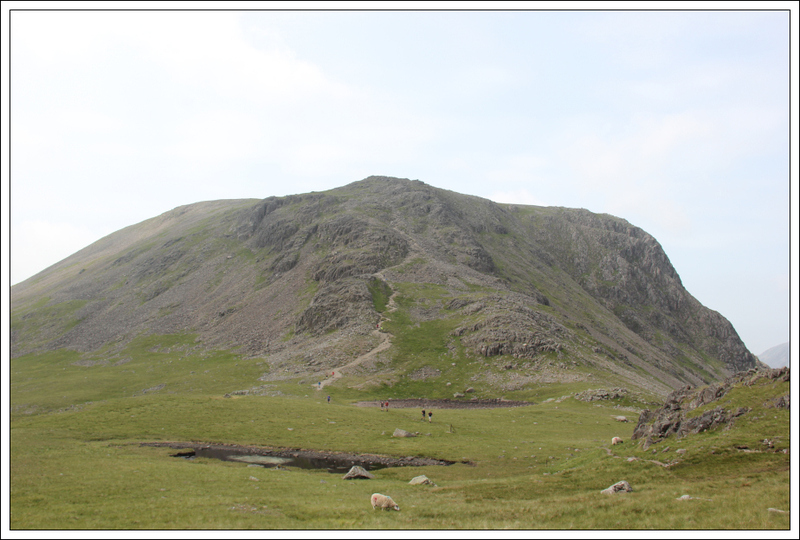 I passed these tarns during my ascent/descent of Scafell Pike, last November. 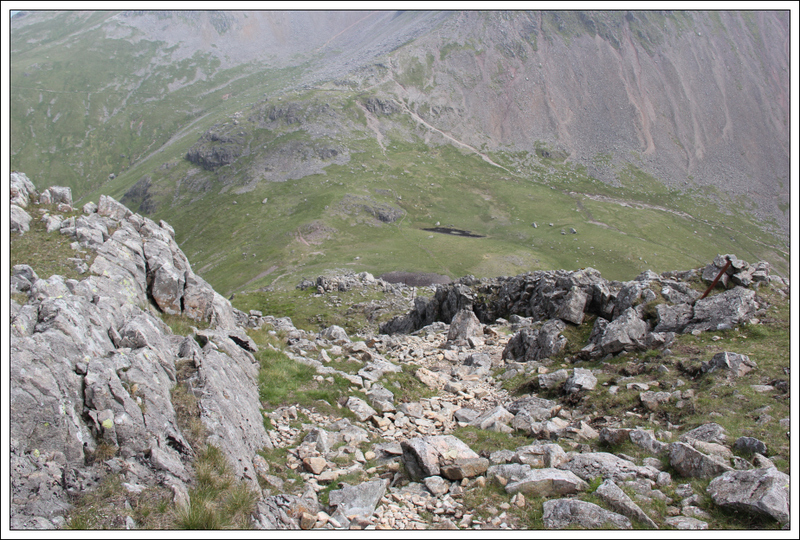 On reaching the Stretcher box, I took the track leading back towards Wasdale Head. 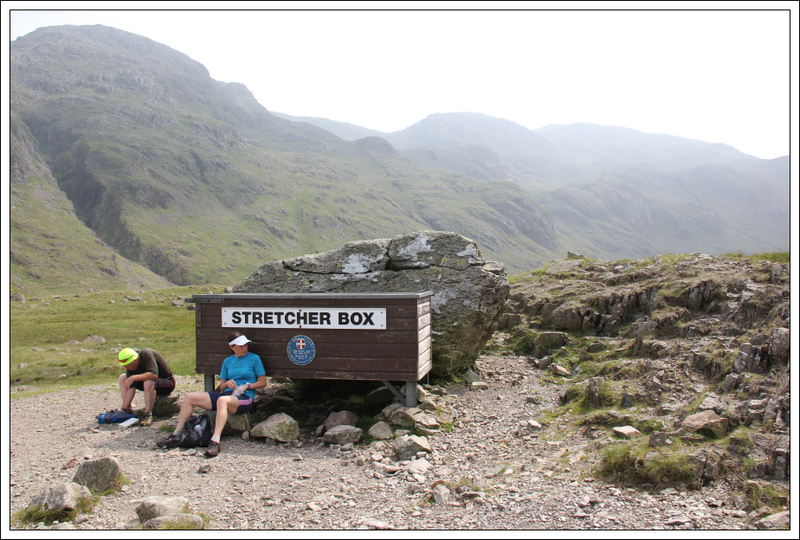 During the walk back I passed a nice slab at the side of the track and had a wee lie down on it to cool down. I wasn’t the only one today feeling the heat. 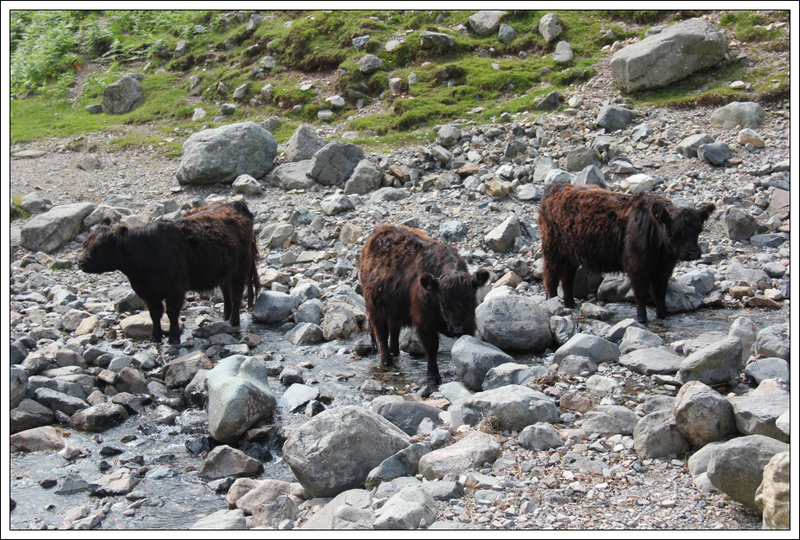 Several cattle were trying to cool down by standing in a shallow stream. 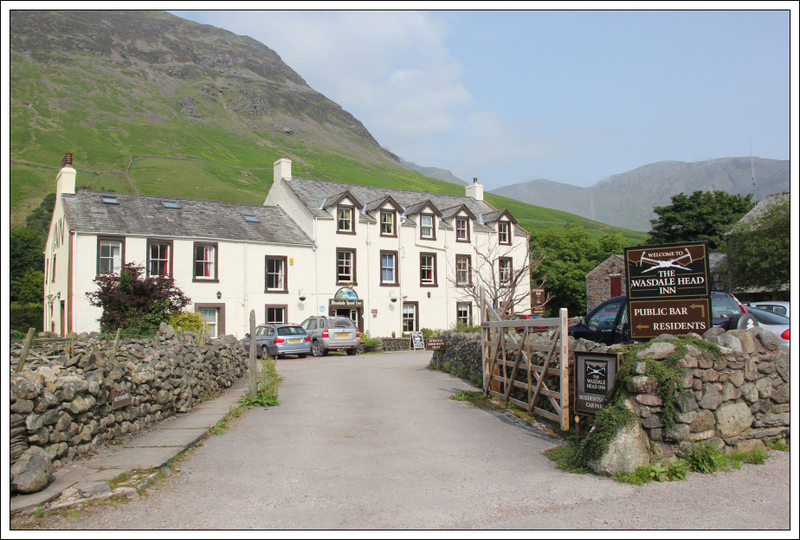 On reaching the Wasdale Head Inn, I stopped for a pint of Coke. 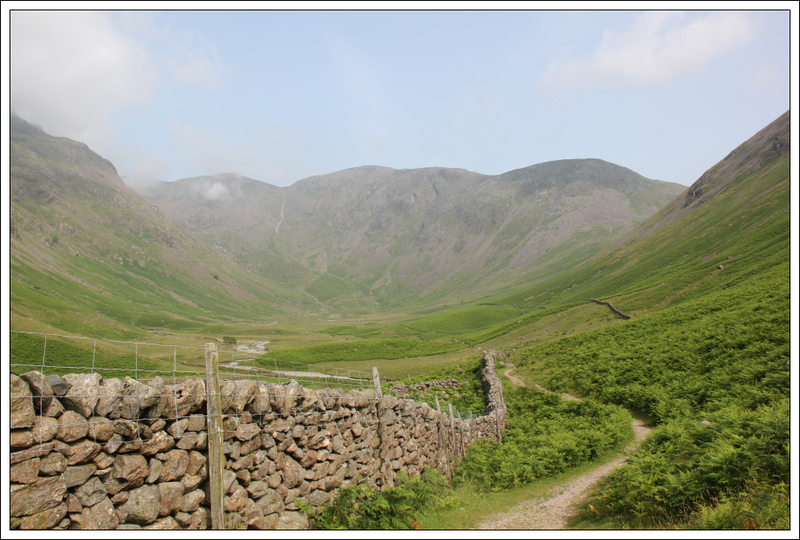 Another enjoyable walk in the Lakes .